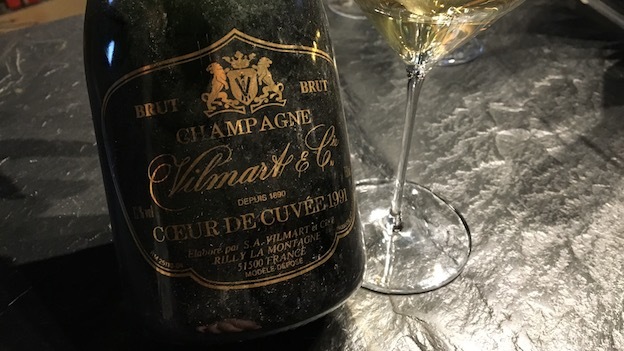 What a treat it is to taste Vilmart’s 1991 Cœur de Cuvée. Proprietor Laurent Champs opened two bottles on my most recent visit. The first was a relatively recent disgorgement from 2013, the second was the original disgorgement from 1999. I much preferred the original release, which was, paradoxically, far fresher and more nuanced than the late release. Cœur de Cuvée, the Vilmart flagship, emerges from 50+ year-old vines in the Blanches Voies lieu-dit in Rilly-la-Montagne, which is a short drive from Reims. 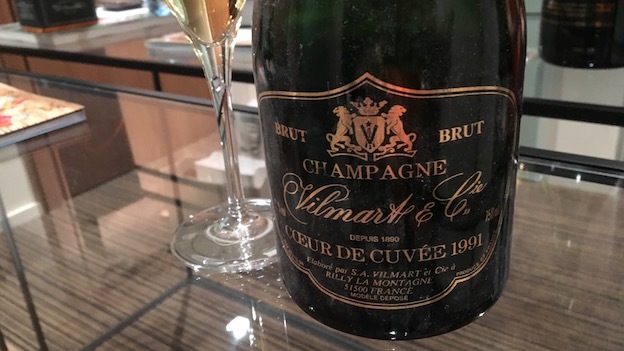 The 1991 was just the third Cœur de Cuvée made at Vilmart, after the 1989 and 1990, and it was the first Cœur de Cuvée fermented and aged in small French oak barrique, as the 1989 and 1990 were done in larger foudre. At the time dosage was around 10 grams per liter. Perfectly mature and gently burnished by the passage of time, the 1991 Cœur de Cuvée is hauntingly beautiful. Candied orange peel coffee, caramel, honey and chamomile meld together effortlessly in the glass. Deep, layered and absolutely exquisite in its beauty, the 1991 is at a glorious peak in its life. Although the 1991 could very well stay at this plateau of maturity for a number of years, I wouldn’t push my luck, as there is no upside from cellaring bottles further. Today, the 1991 is simply fabulous. 94/Drink now.